Consumers are constantly bombarded with advertisements touting how safe each auto manufacturer’s vehicles are and the many awards their cars and trucks have received for such advancements in safety. Yet it is not uncommon to find news articles about automotive recalls that were the result of defective parts or equipment that has harmed motorists and the occupants in their vehicles. These defects can cause accidents and injuries that can ruin or take peoples’ lives. It is when such incidents can be easily avoided but are not due to acts of negligence by the manufacturer that the automaker must be held responsible. It is an unfortunate reality that auto companies often knowingly cut corners in order to increase their margins and become more profitable. The risks taken often are with the lives of the very people who pay for the product and faulty parts or equipment can cause injuries or make injuries worse in the event of an accident. When the manufacturers are aware of the defect and choose to do nothing about it, every person who owns the vehicles affected by the defect are placed in harm’s way. If it can be determined that the cause of an accident or the severity of an injury sustained in an accident is the result of poor design or materials of low quality, it may be possible to claim negligence on part of the manufacturer. Defective equipment can cause injury or death and may even be the cause of an otherwise avoidable accident. Common examples include: defective tires, brake systems, steering columns, airbags, roll bars and fuel systems. Poorly designed roofs and roll cages can cause serious injury in the event of a roll over and fuel system defects can cause post collision fires that result in severe burns or deaths that would have otherwise been prevented. Poor tires, brakes and steering systems may contribute to the possibility of rollover events and the failure of an airbag to deploy properly could be the difference between life and death. Being involved in a serious injury changes the lives of everyone involved regardless of the severity of the accident. In many cases, victims are left with exorbitant medical expenses and are unable to work while they recover. Some people are unable to fully recover and may require medical care for the rest of their lives. When such events can easily be prevented, companies that fail to address defects in the design, parts and materials that make up their product, those companies must be held accountable and provide compensation to those who have been harmed as a result of their negligence. The disappointing truth about automotive recalls is that they are only addressed if an auto manufacturer determines that it is less damaging to their margins to recall defective parts or fix defects in the design of their vehicles than it would be if they needed to provide compensation to all of those who have the potential to be affected by the error. In other words, auto companies make decisions on peoples’ safety by calculating whether it is more profitable to fix a known error or to provide compensation to those who will ultimately be injured, maimed or killed by their products. 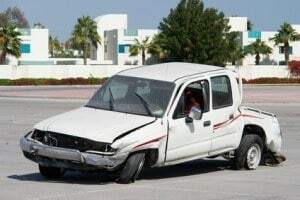 If you have been involved in an accident, it is important that your legal representative evaluates the possibility that poor design or defective equipment may have contributed to the accident or the severity of your injuries. It is often difficult to prove whether an accident is the result of driver error or vehicle defects but our lawyers have access to all of the resources and experts in accident reconstruction needed in order to determine whether you have a case. Contact us today for a risk free consultation so that we can answer any questions you may have and help you through the next steps toward recovery.